When we are kids, we rely on our parents for everything from food and shelter to emotional support and care. But time doesn’t stop for anyone, and it comes a time when we have to return the favor and become caretakers for our aging parents. Recent statistics say that about 23 million Americans take care of their elderly parents. And many of these people have to choose between letting their parents live alone or moving them into a nursing home. However, many feel that none of these options are right for them and their parents. Well, for these people, there’s now another solution that allows families to stay together while also ensuring aging parents maintain their sense of independence. 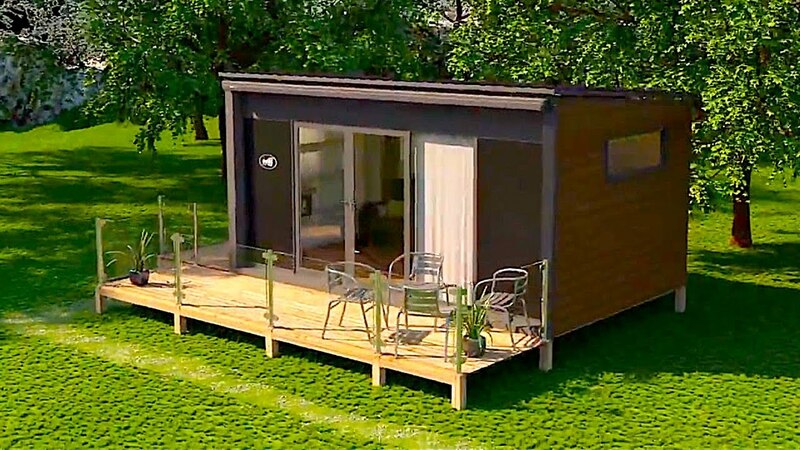 Called “Granny Pods,” these small homes help bring families closer together. That’s although not all members of the family are living under the same roof. MED Cottages, also known as “Granny Pods,” are the latest rage when it comes to elder care, and many feel it is the solution they’ve been looking for. These cottages allow aging parents to live in their son’s and daughter’s backyard while still having a space they can call their own. These small apartments are equipped like a hospital room and can be set up in just a few weeks. Prices for one of these cottages range from $85,000 to $125,000. Size-wise, they are comparable to the size of a master bedroom. They even have a small outside terrace where the elderly can relax or enjoy their morning coffee. Do you think this is a good idea or not?